It’s hard to know what to expect when you’re expecting. Every body is different. Every pregnancy is different. There are thousands of books and classes you can take. It can be overwhelming. But one thing remains constant, the beauty of the miracle growing inside of you. Becoming a mother to that little miracle is a joyful responsibility but it doesn’t come without worries. You’re not alone. All around the world, rich and poor, young and old, moms have been figuring it out for centuries. 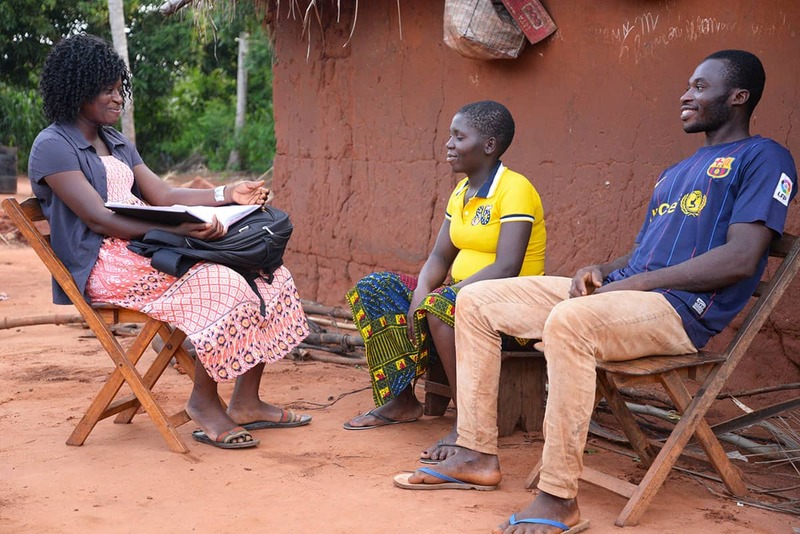 Be encouraged with these three stories of women from vastly different countries and cultures as they reveal their shared fears and hopes of motherhood, as well as the impact of our Child Survival Program. The dusty radio sits in the corner of our hut and brings bad news — the radio announcer tells us another woman from my village has died while giving birth. I touch my expanding belly, trying to reassure myself that both the growing baby and I are healthy and I need not be afraid. The midwives told me that those who pass away are often those who never came to the medical center for appointments. I can face my delivery with assurance as I’ve gone to all of my appointments. Yet after the delivery, there is much to fear about parenthood. I don’t know what the future will hold for my children and me. My country is poor and I face poverty each day. I used to fear the future because some days, we could not find food to eat. But that was before Compassion. I may not know if I’m having a boy or girl, but I know the baby in my womb will not have the same life as me; he will face the future with more hope. I’m Rita, of the village Lebe. I’m a Togolese maman to three children with my fourth on the way. But this is my first time being enrolled in the Child Survival Program (CSP). It’s amazing the difference CSP has made for me in this pregnancy. Everyone tells me “as soon as the baby comes, everything changes.” Yet from the moment I found out I was pregnant, everything began to change. My thoughts so often turn to this baby boy. Even though he’s still safely tucked away in my womb, I already have a deep desire to protect and nurture this little gift from God. 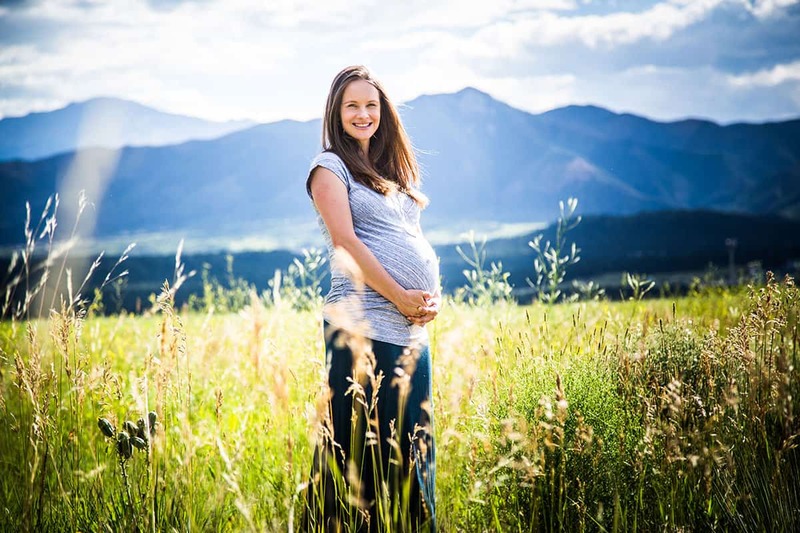 I’m Katy from Colorado Springs, Colorado and I’m about to be a mommy for the first time. When I first found out I was pregnant, I was overwhelmed. Overwhelmed that God in his infinite kindness would gift us a child. I cried and gave thanks to Him! Yet I was also scared that I might lose the baby, as one in four Kiwi women have miscarriages. I remember my heart pounding in my chest as we went for a six week scan to check for a heartbeat. Then it was counting down the days to 12 weeks, when the risk of miscarriage isn’t as great and then counting down the days to 26 weeks where the baby is now “viable” for life and could survive if born prematurely. I know the responsibility and opportunities to trust God become even greater when the baby arrives! I fear the sleepless nights and the helplessness I know can come with the feeling that as a parent, you can never know, do or be enough. I’m Helen. I’m a Kiwi mum of an adopted little girl but this little miracle inside of me is my first pregnancy. RITA: Pregnant women should not forget to eat whenever they feel hungry. The CSP staff taught me some of the best things to eat are fruits like mango, oranges, pineapples and watermelon. I cannot spend a day without eating cassava. Before pregnancy, I didn’t care much for it but now I crave it and find it more delicious than any other food! I’m grateful for the nutritional advice CSP has offered, as it helps me ward off sickness. Also, in the first trimester of my pregnancy, I came down with a bad case of malaria. They helped me get to the health center and the medical staff provided medication that helped me feel better and was safe for the baby. Since then, I’ve felt much better. Some days, I wake up very tired, but a pregnant woman doesn’t consistently feel great every day. 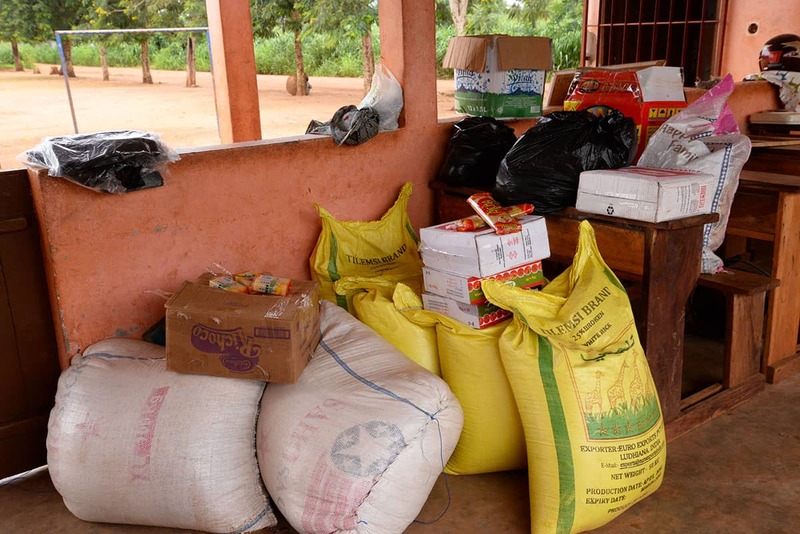 At the beginning of every month, CSP moms receive nutritional kits with things like rice, spaghetti, canned tomato, cassava flour, a bottle of cooking oil and other necessities for healthy meals. KATY: I’ve felt hungry — a lot! Before pregnancy, I ate red meat about once a month. But during pregnancy, I’ve craved red meat at least once a week, often more. A hamburger and ice cream has become my favorite pregnancy meal, yet I still try to eat vegetables and fruits as recommended by my doctor. Proper nutrition and daily exercise has kept me healthy during my pregnancy. During the first trimester, I fought nausea and vomiting on a daily basis. After the end of the first trimester, the nausea passed and I’ve felt much better. I still struggle with exhaustion and backaches, but I know I won’t feel great all the time. HELEN: When I first became pregnant all I craved was cold water — very cold. Today I crave the foods I’m not supposed to have, like sushi and raw cream. There is such a long list of what I am and am not supposed to eat. Everything from cheeses to seafood to cold meats! The spectrum of where each pregnant mother abides to this list varies in New Zealand, but I choose what I believe is a balanced approach that is not too extremely cautious but neither cavalier. When in doubt, I always come back to that cold water! Proper nutrition and chasing my older daughter around the house has kept me healthy during pregnancy. I felt fortunate to have had very little “morning sickness” during my first trimester. RITA: In my village, we only have nurses and midwives; medical doctors are in towns. I walk ten minutes from my hut to the health center for my prenatal appointments with the midwife. The midwife checks my blood pressure, temperature, heartbeat and weight and I even get to hear the baby’s heartbeat. When it’s my time to deliver, I will walk to the health center. I will take with me a basket, sponge, perfume, antibacterial soap, clothes and a diaper for the baby. In the health center, you are not allowed to have someone with you — it’s just you and the midwives. Here, husbands do not join their wives during labor. Furthermore, in official hospitals, it is not possible because many women give birth at the same time and there is no space in the labor room. The CSP Specialist joked with me that it’s also because men aren’t courageous enough to see their wives laboring! I do wish my husband could join me, but if he can at least get me some nice flowers, I would love that. When the baby and I get home, my sister will come to my house to assist me. Diapers will be the most important item to have, but I will also need some baby clothes and shoes. I wish we could afford a crib, but we can’t at this time. My family members and close friends will come to the baby’s naming ceremony eight days after the birth and may bring clothes and gifts for the child, perhaps even some money to support our family. 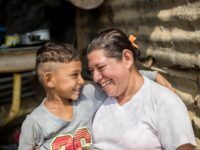 Rita, her husband and the CSP Specialist discuss cleanliness of the home, body hygiene, bonding with the child in the womb and relating with her husband and other children. KATY: In the USA, there is no shortage of options for pregnancy care and delivery. Most women chose to have the baby in a hospital, but others choose birthing centers or home births with midwives. Throughout the pregnancy, my husband and I drive 10 minutes to the doctor’s office, where the doctor checks my blood pressure, temperature, heartbeat and weight and we even get to hear the baby’s heartbeat. When it’s my time to deliver, we’ll drive to the hospital, bringing a bag filled with clothes and toiletries for me as well as diapers and an outfit for the baby. The most important thing for us to bring is a car seat so we can safely take our little one home. Thankfully, my husband will be by my side every step of the labor. After a day or two in the hospital, we will bring home our baby boy. I’m overwhelmed at all the recommended baby items the “experts” say we need. We are trying to keep the baby’s room and life as simple as possible. Yet we are so grateful for friends and family who’ve showered us with their prayers and gifts. Even before the baby is born, we’ve received clothes, diapers, toys, books and other necessary baby items like a crib, stroller and car seat. 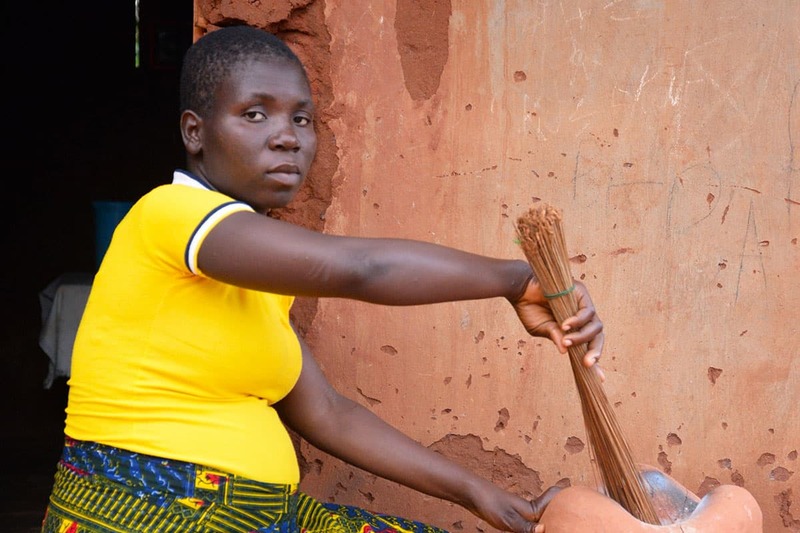 HELEN: Once a month, I drive my car 12 minutes down the road to my midwife appointments. The midwife takes my blood pressure and weight and we listen to the baby’s heartbeat. In between these appointments, I’m often asked to go for a scan to check on the baby’s growth or take blood tests. When it’s my time to deliver, my husband will drive me to the public hospital, which is about 25 minutes away. I plan on having him in the room. Here in New Zealand, there are many options for where you can give birth ranging from your home, to a public hospital or even a birthing water pool! The midwife will be present and if there are any problems a doctor will come and help. When the baby and I get home, we will begin to adjust to life as a family of four instead of three! I will lean on friends and family to help; I already treasure the gifts they gave us at our baby shower. Even before the baby is born, we’ve received warm clothes, diapers, toys, other necessary baby items like a bassinet, pram and car seat. RITA: In the past, I never had dreams and hopes for my children. I just wanted them to survive and grow up to be responsible. I still wish for that, yet now I have dreams for each of them. For instance, I would love for this child in my womb to become a lawyer when he grows up! To all women experiencing their first time pregnancy, remember to care for yourself as much as possible and avoid activities requiring too much energy. You need your rest! Pray for a peaceful delivery and trust the medical staff to help you face challenges. Yes, always keep on praying — and don’t forget to eat whenever you feel hungry! KATY: The world seems to be getting crazier every day. I sometimes wonder why I would want to bring a child into all of this madness. And yet God reminds me that this son of ours was created for such a time as this, for this season. My hope and dream for his future is that he will be grow up to know the love of God and be a part of God’s redeeming love for a world gone mad. To all women experiencing their first time pregnancy like I am, remember to enjoy the process. Try to give yourself grace as much as possible to rest when you can. Reach out to other mothers who can offer wisdom and experience — and don’t forget to eat whenever you feel hungry! 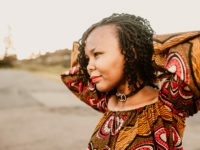 HELEN: I pray the same thing for my eldest daughter that I do for this new baby girl: to raise a daughter that serves her God-given purpose in her generation. I want her to know she is part of a much bigger story and that she has a crucial role to play in the world. 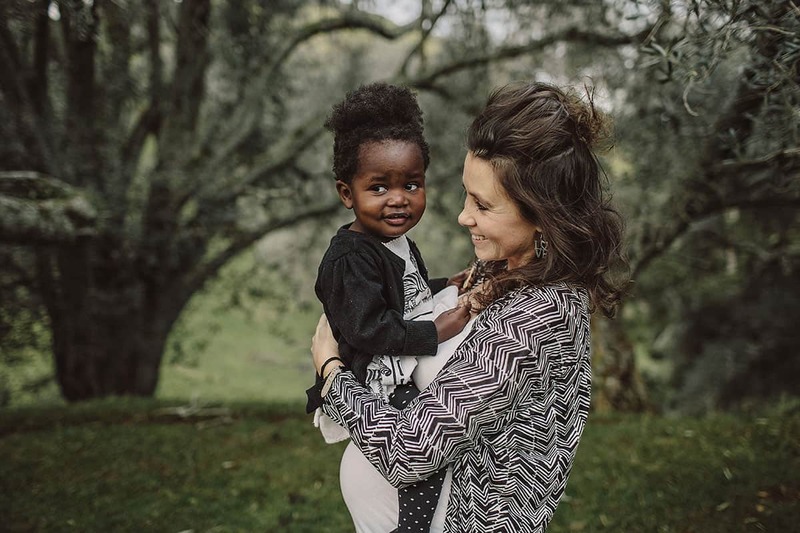 I want her to grow up knowing how the rest of the world lives and go on many adventures with us as a family as we seek God’s will for our lives. RITA: The Child Survival Program has not only opened my eyes to a different type of health during pregnancy, they’ve introduced me to Jesus. In the past, when I had pain in my pregnancies, I went to a traditional village healer and mostly, my pain would increase. Today, I pray and have faith in Jesus — He is always there for me. Without the CSP, I would have never known the love of God and His son Jesus. 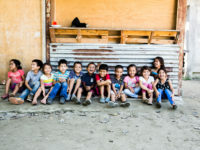 The CSP program provides parents and caregivers with literacy courses, giving them the opportunity to learn how to read and write and spell their names. My relationship with Jesus and my involvement with CSP have changed every aspect of my life. I have a better relationship with my husband as the CSP has taught me how to respect and honor him more. Decreased arguing has brought more peace to my house. CSP has also opened my eyes to a different way of interacting with my older children. I used to believe that my children were my property and I could treat them however I liked. I’ve now learned that they deserve to be loved, cherished and protected. Katy works in our Global Program Group as the Africa Communications Specialist. Thanks to God for the coordinators and the organisers of CSP Child Survival Program it has been a blessing to so many lives. thanks for giving their lives a meaning and also making them to be a blessing to their families members.God will renew your strength and give you divine backing the more. Weldone.